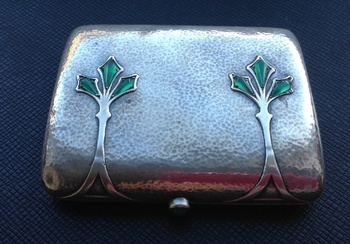 In Tobacciana > Cigarette Cases > Show & Tell and Silver > Art Nouveau Silver > Show & Tell. I have recently been branching out into collecting Silver compacts. 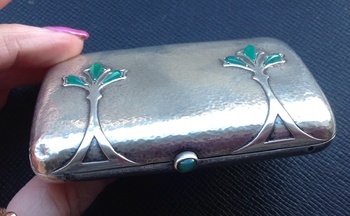 This of course is a Cigarette case or Card Case, personally I think it's a Cigarette case, I think it's beautiful. The hallmarks are for Birmingham b is for the year 1901, hl is the makers mark for Heinrich Levinger. The silver case is a lovely textured finish enhanced by two applied stylised trees with Chrysoprase the catch is also Chrysoprase, the detailing is typical Art Nouveau. Wow... what an amazing piece. I love cases sooo much too. This is just fantastic. Many thanks, DrFluffy, SEAN and nutsabotas for your lovely comments and love. 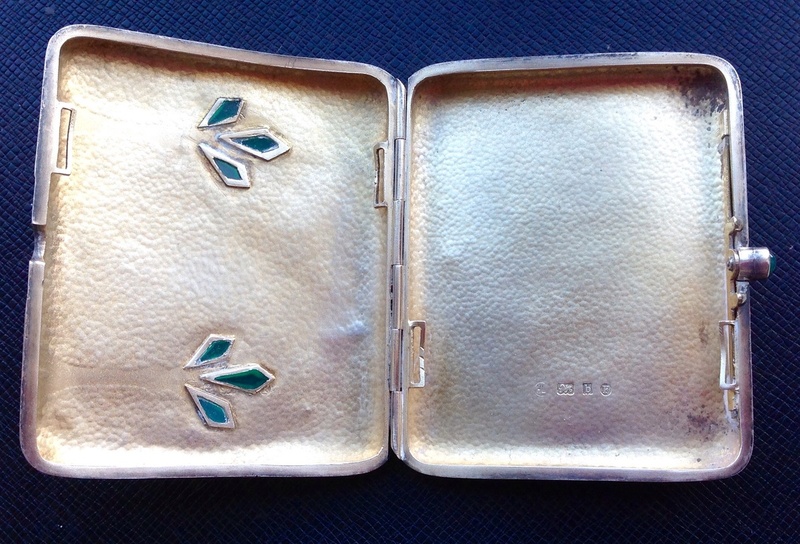 Peasejeaan55, your cigarette case is splendid. 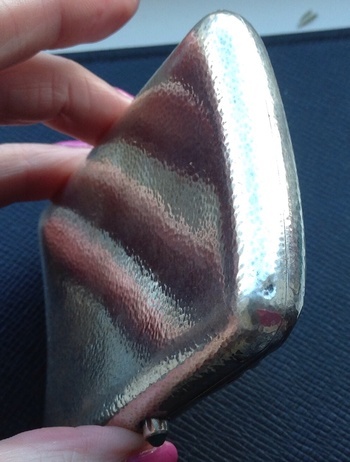 The "textured finish" is all hand hammered silver and a favorite of mine. Solver thank you for your wonderful information and I am in agreement with you it is a beauty. Many thanks DrFluffy, SEAN and nutsobotas for your lovely comments and love. Thank you BellaEpoque, for you lovely comment and love. Absolutely wonderful!! I love it! What a Treasure! Thanks for posting it! Many thanks Elisabethan and Budek for your great comments and love. Thanks Zowie, for passing by and your lovely comment. Any time & you get to see the item again so that's a bonus. Many thank Zowie, I hope your well. Looking and loving this gorgeous case again. Beautiful craftsmanship. Thanks for the thought having a good day I hope you & yours are doing fine & enjoying your time together nothing better than family except really good friends we can pick them not or families. I live in Spain so I only see my family either if I go to the UK or they visit me me in Spain. My daughter is visiting me at the end of May. She as been travelling South Eastern Asia for the last 6 months, I can't wait to see her.